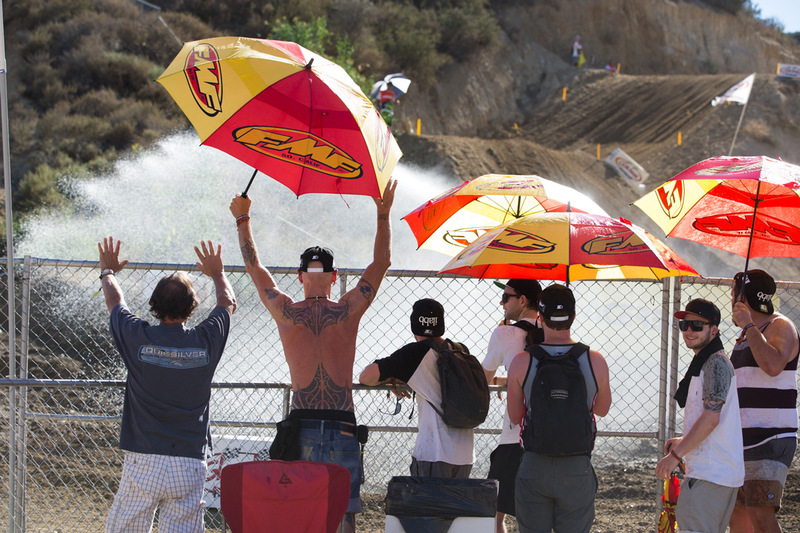 This past weekend marked the final round of the 2015 World Motocross Championships, but the weekend wasn't just special because it was the finale, it was also significant because it took place in our backyard—Southern California's Glen Helen Raceway. 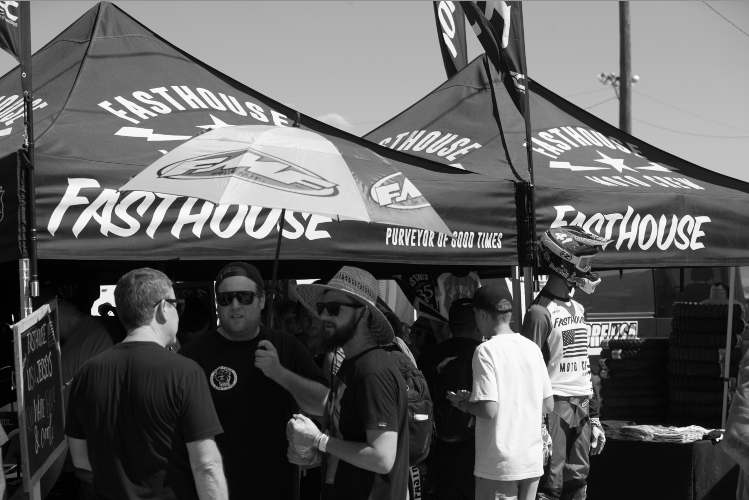 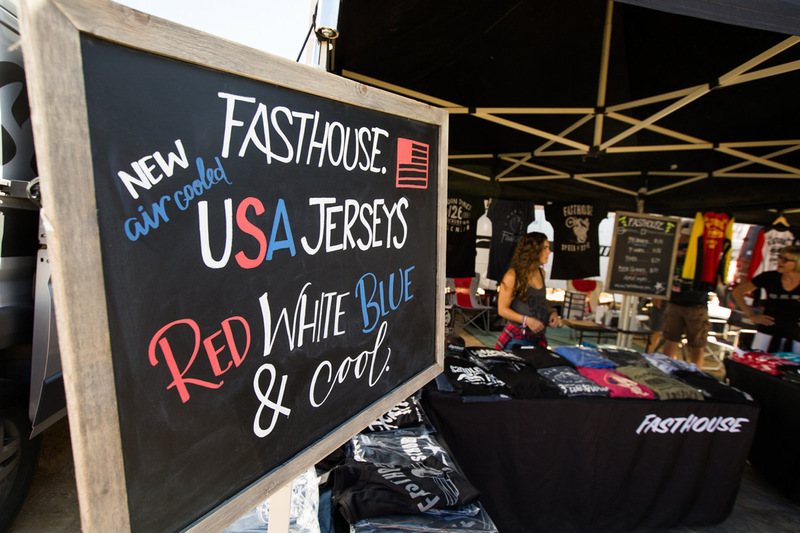 In true Fasthouse style, we made our presence known with a huge booth and pit area, as well as some brand new red, white, and blue American flag and FMF jerseys for sale (both can also be purchased on the website incase you missed the race). 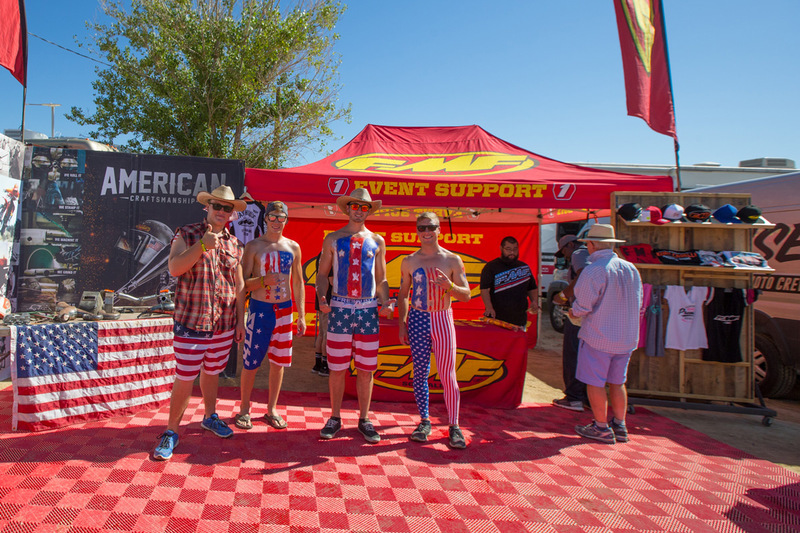 It was an all-american day filled with BBQing, beers, good times, and more beers. 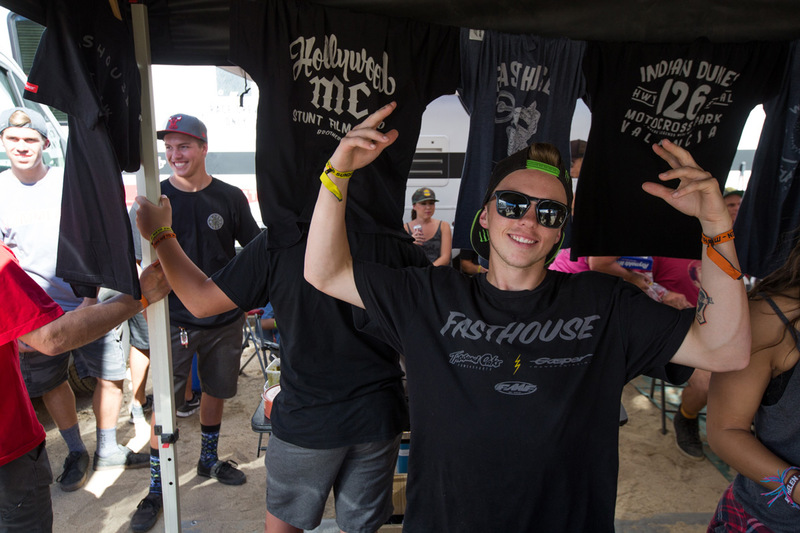 In blisteringly hot temperatures, the racing action didn't dissappoint either, as Americans Jessy Nelson, Chris Aldredge, and Shane McElrath swept the top-three spots, respectively, in the first MX2 moto. 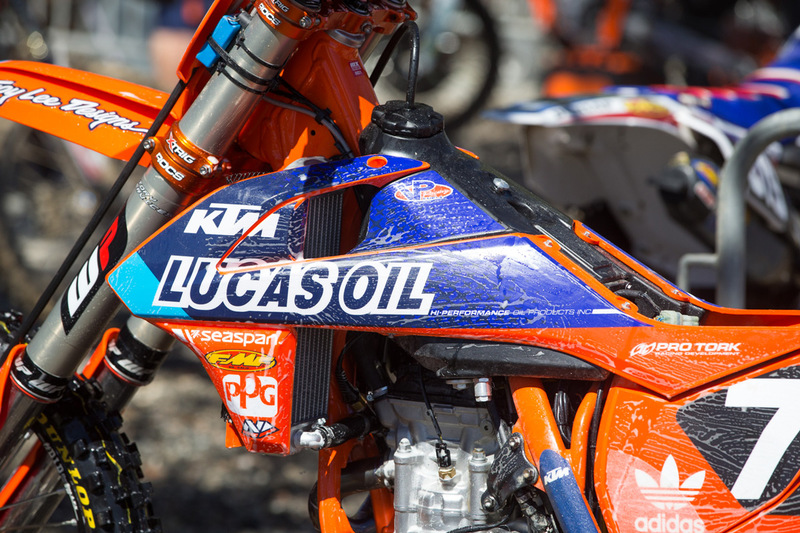 Lucas Oil/Red Bull/Troy Lee Designs/KTM teammates Jessy Nelson and Shane McElrath ultimately went 1-2 in the overall results, while Tim Gasper finished a quiet fourth overall to clinch his first MX2 World Championship. 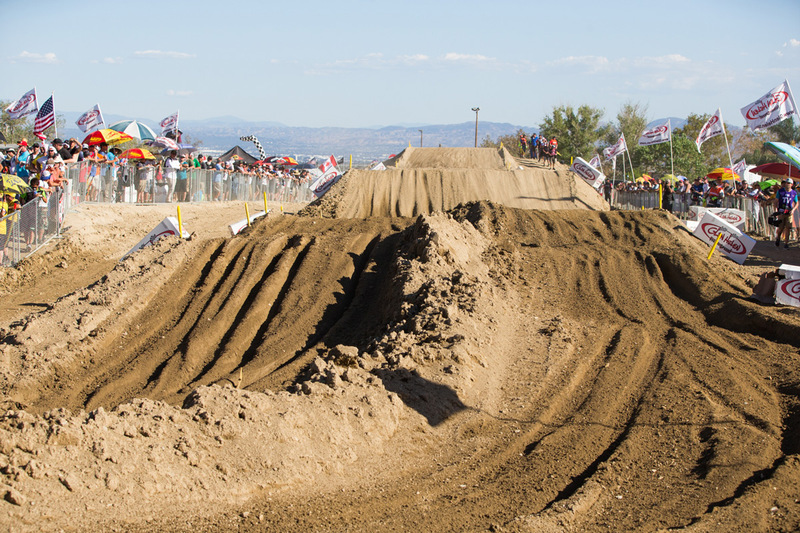 In the MXGP class, Josh Grant and Cooper Webb defended the home turf by running up front in both motos. 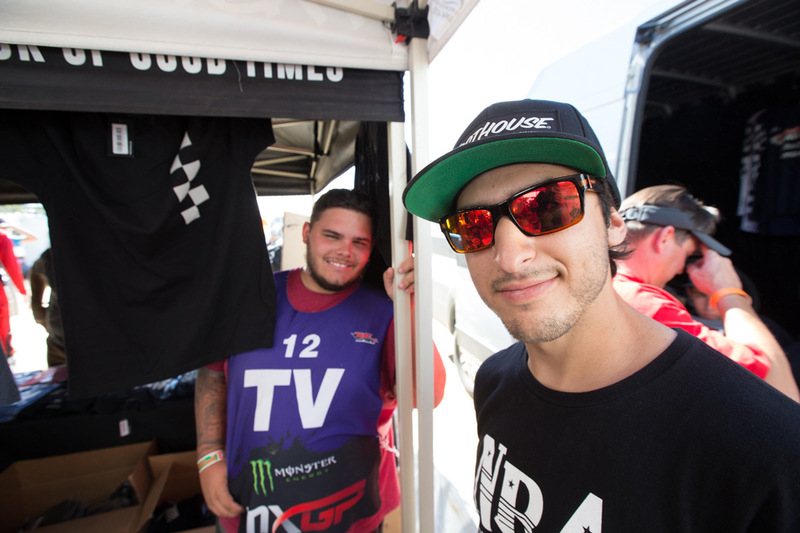 Grant led much of the first moto before sucummbing to a twisted ankle, forcing him to drop back to third in the end. 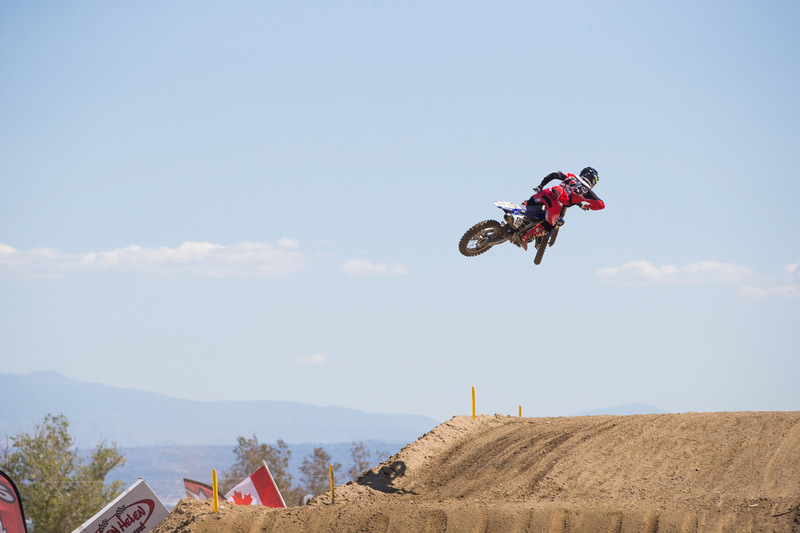 Webb ultimately finished second after battling with newly crowned World Champion Romain Febvre. 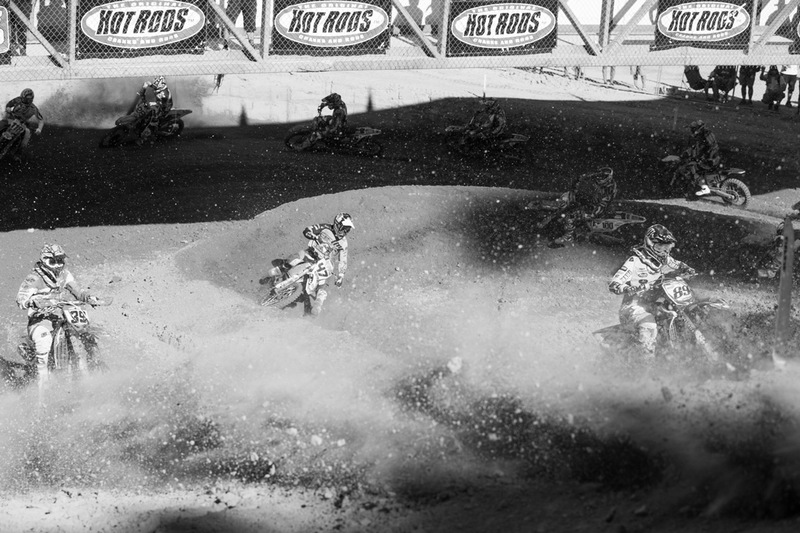 In the second moto, though, Grant came out swinging, taking the lead early and never looking back. 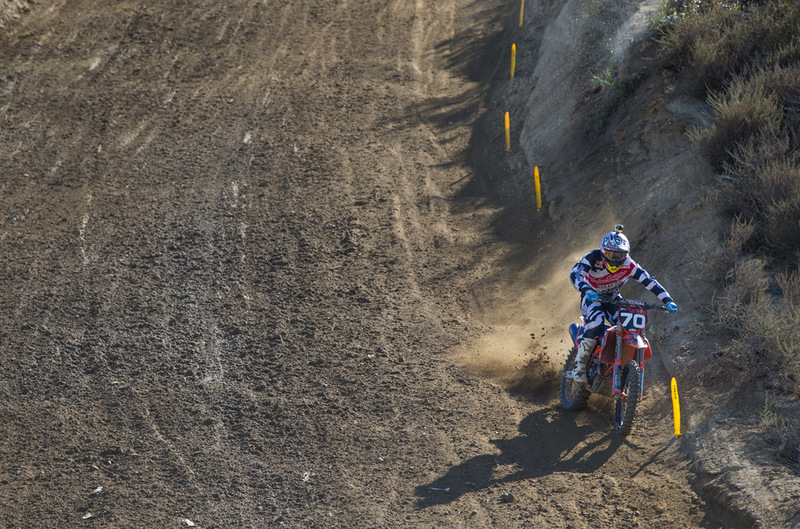 Febvre challenged him at one point, but a tip-over in a corner signaled the end of the Frenchman's charge. 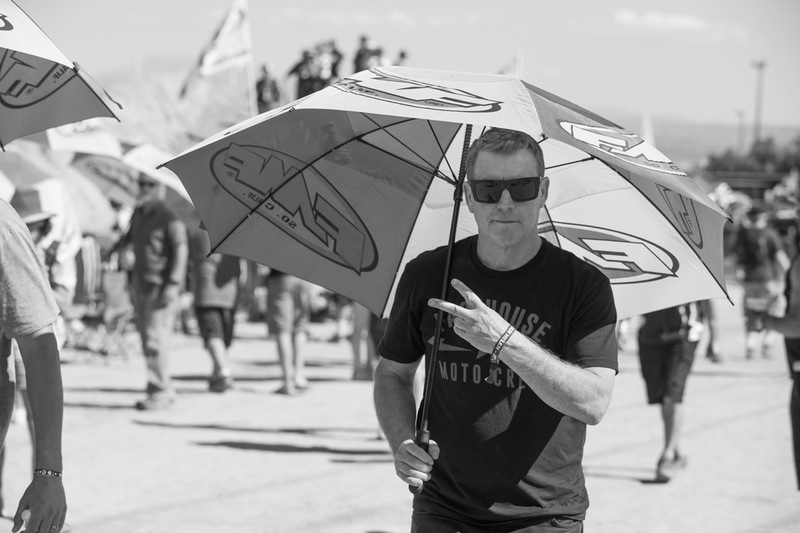 Grant took the moto win followed by Febvre and Webb. 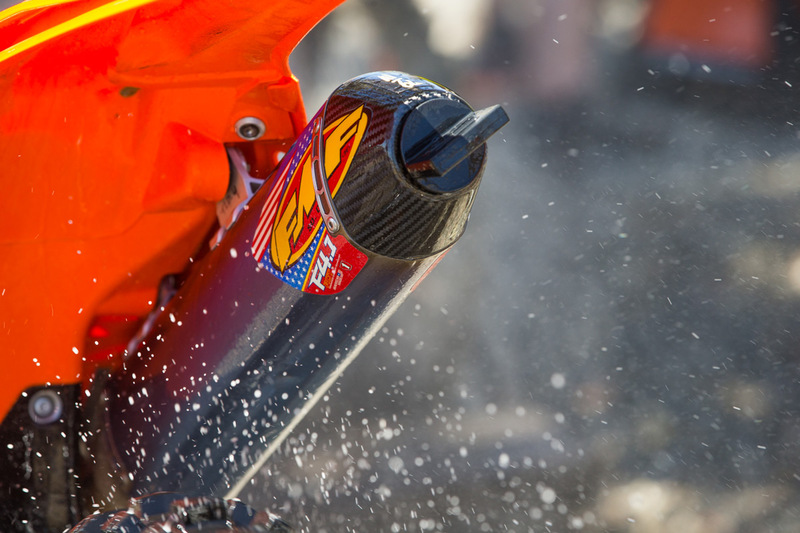 The overall results saw Febvre with the victory followed by Grant and Webb. 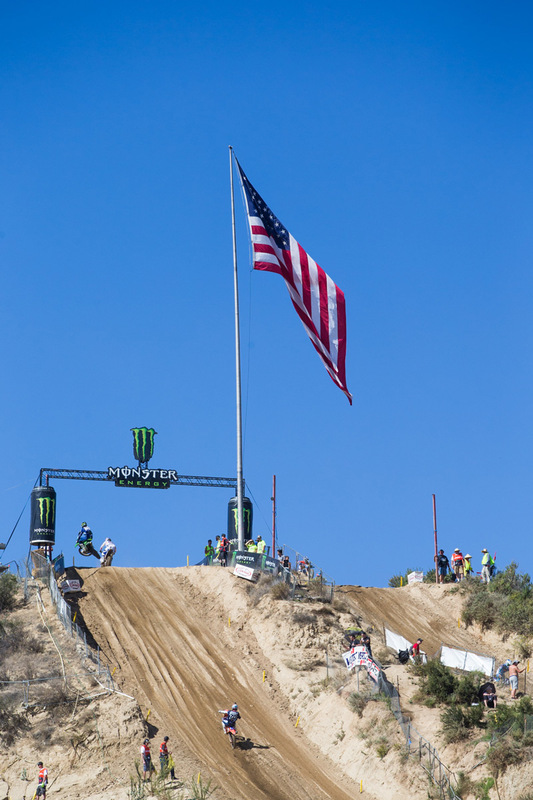 The gigantic American flag flew over the 2015 USGP at Glen Helen. 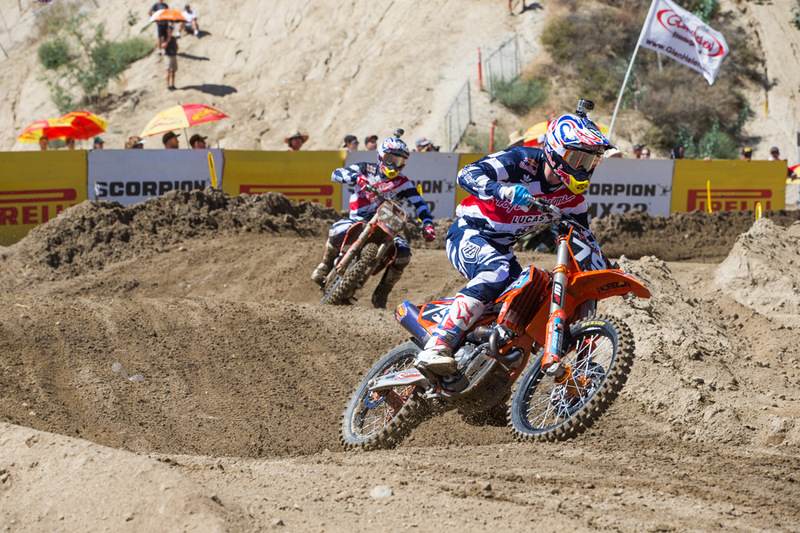 Jessy Nelson and Shane McElrath went 1-2 in the MX2 overall standings. 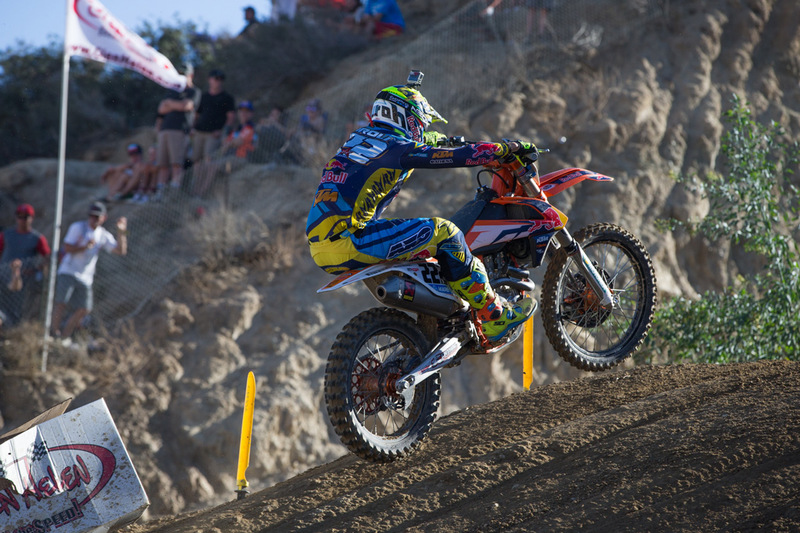 Multi-time World Champion Antonio Cairoli returned to action after sitting out most of the season due to injury. 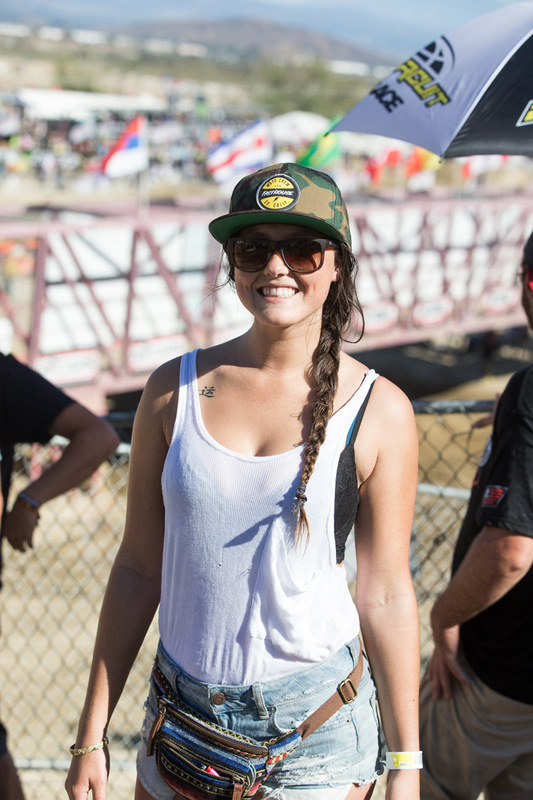 Motocross and girls go together like sprinkles and donuts. 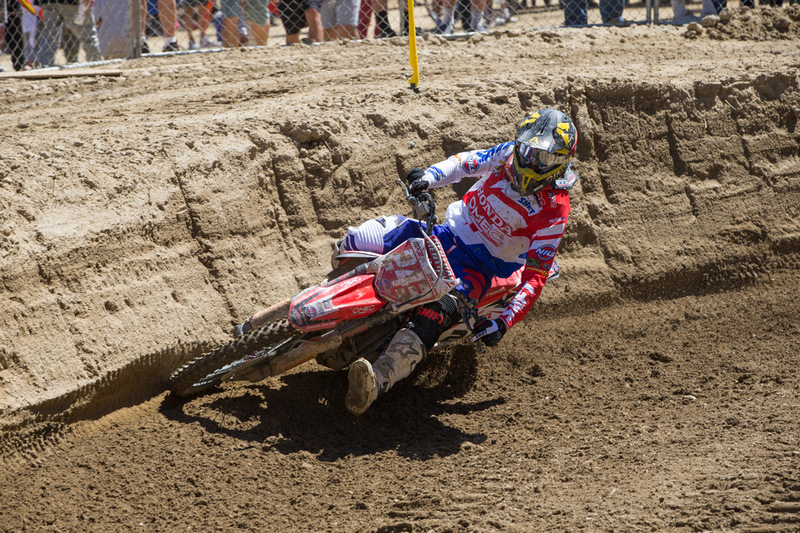 Honda-mounted Tim Gajser clinched his first World Championship at Glen Helen. 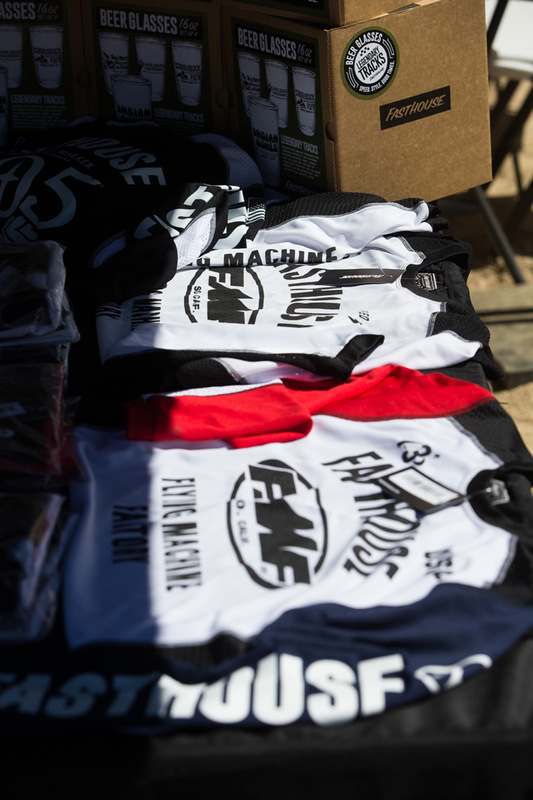 These rad jerseys are also available on our website. 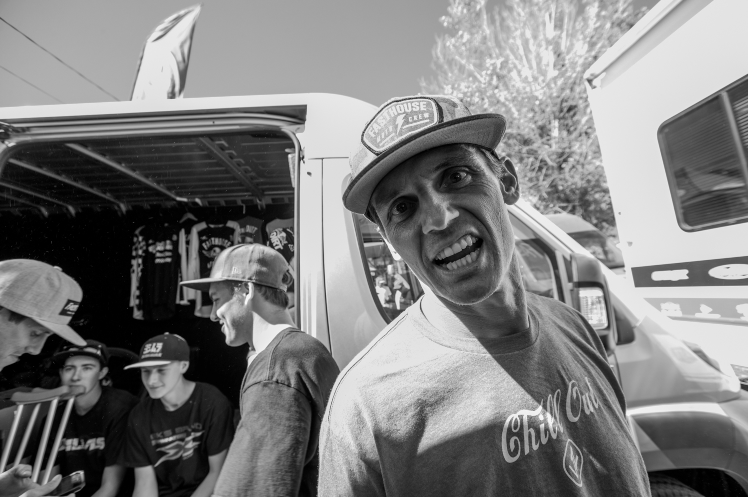 Just click the Store link above. 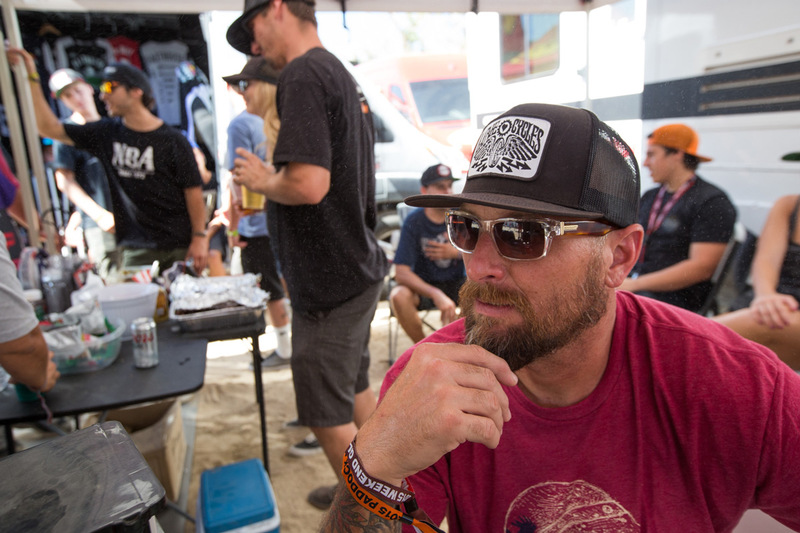 Darrin Hoeft having a good time. 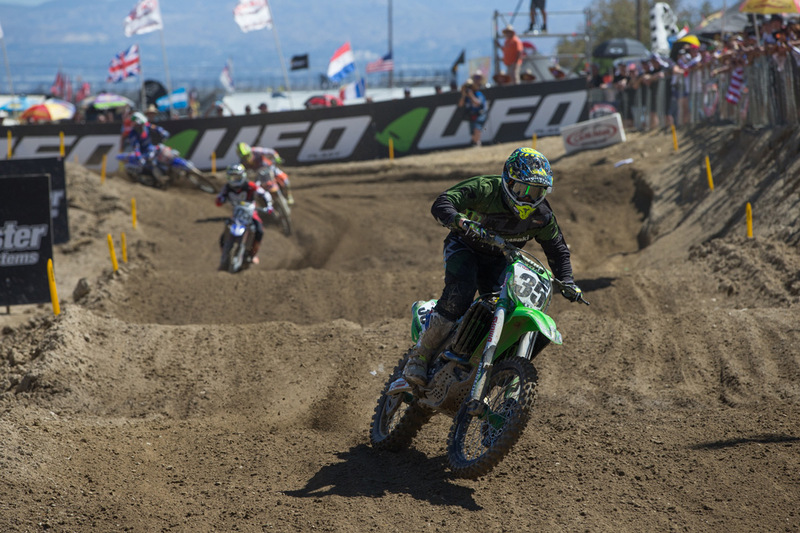 Josh Grant took the win in the second moto to finish second overall. 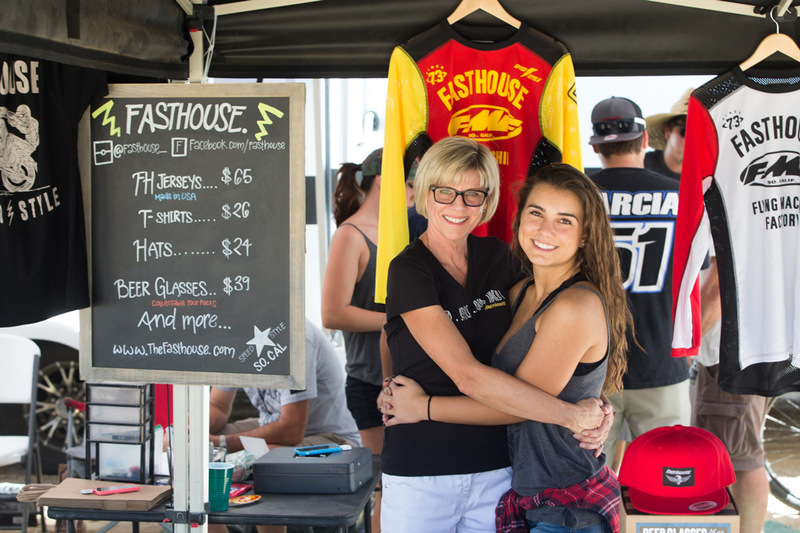 Amber Alexander and Leila Parks held down the booth. 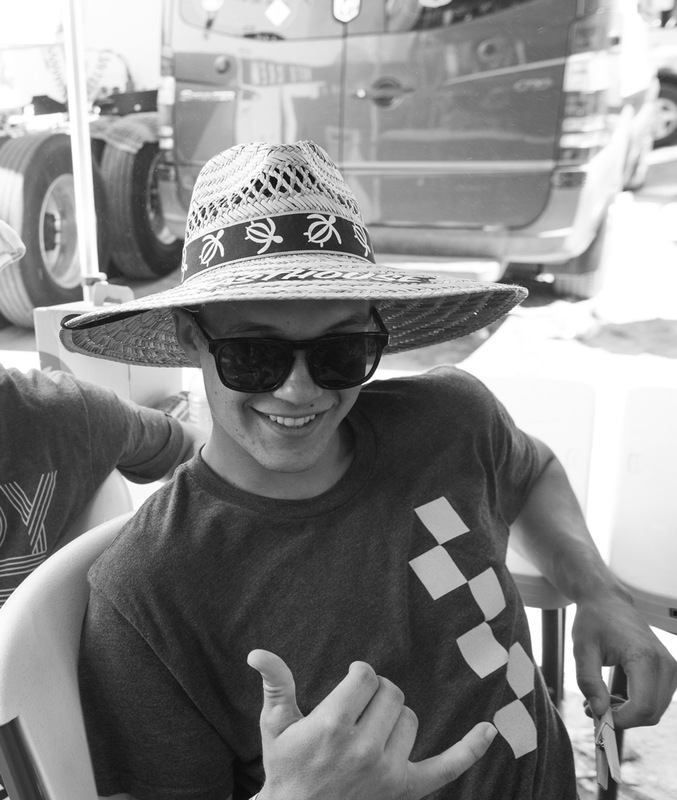 Ricky Diaz and Jacob Johnson are working on a rad video that's set to drop soon. 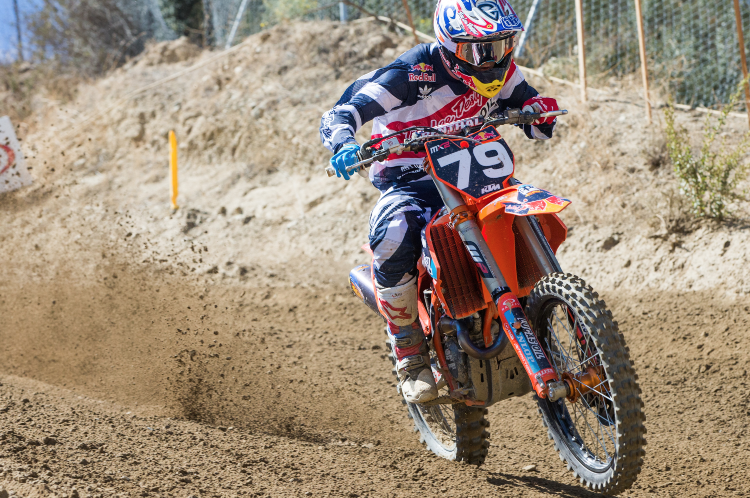 Cooper Webb did very well in his first 450 motocross race. 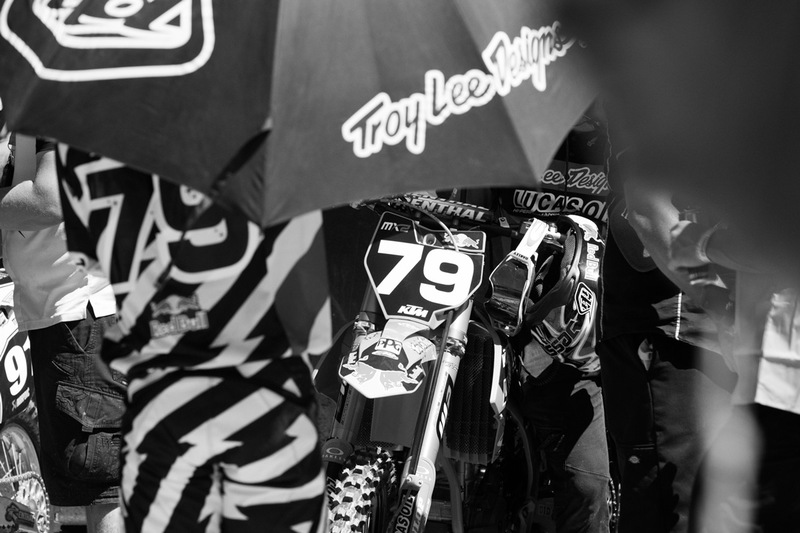 His second will be the Motocross of Nations for Team USA. 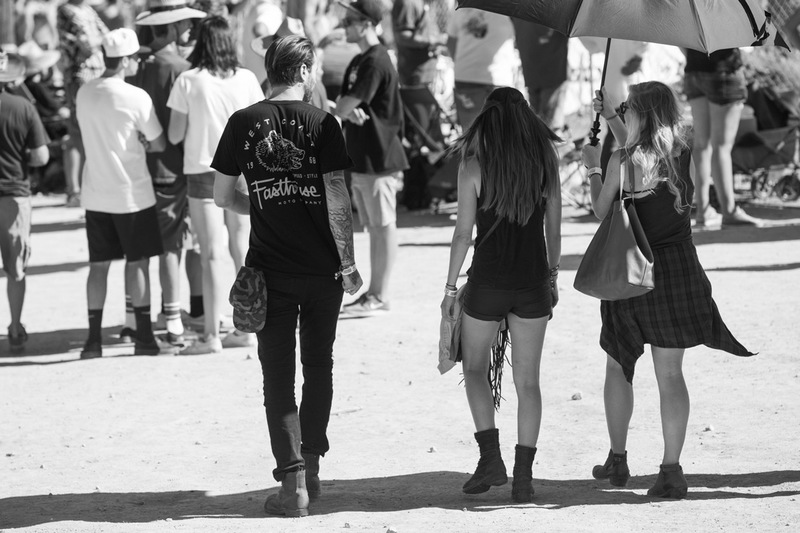 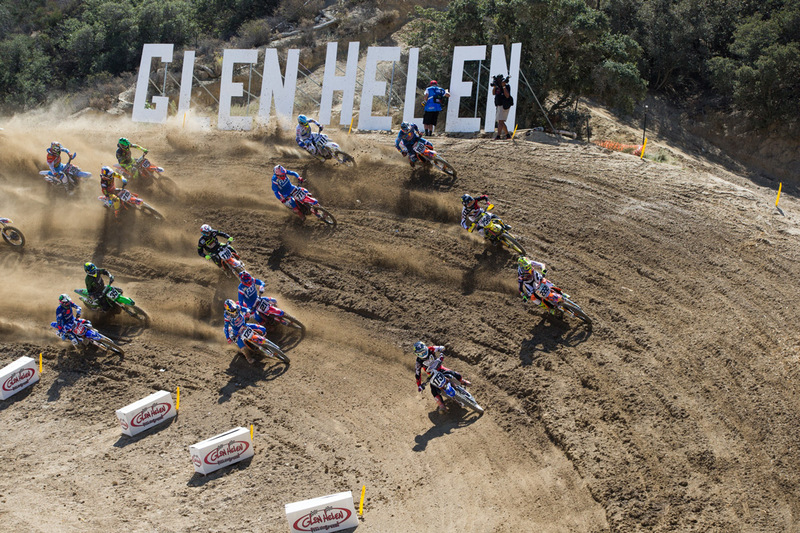 Taledega is always interesting at Glen Helen.